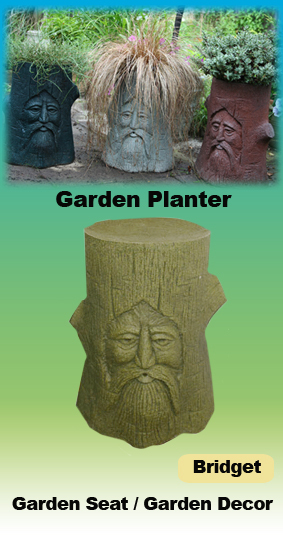 Create a magical look in your garden with Bridget the wizard log. Ideal for a childrens seat in the garden and is easy to use and lift. Bridget has two faces on opposite sides so she can be seen from any angle. Made from MDPE (Medium Density Polyethylene) a strong and weather resistant type of plastic thats strong, durable and made to last. Bridget makes an excellent garden planter you can give him a refreshing new hair style with the choice of plant or grass you want to plant up.